NCAA: def. Syracuse, 78-69 (first round); lost to Gonzaga, 81-73 (second round). Seniors losing: G King McClure (9.0 ppg, 5.3 rpg, 2.1 apg), G Makai Mason (14.9 ppg, 2.5 rpg, 3.4 apg); G Jake Lindsey (missed senior season due to injury and announced on March 4 he was retiring from basketball). Any NBA Bound? 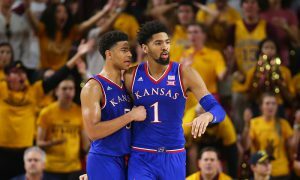 : Mason and McClure may interest NBA scouts as summer league participants. Any One-and-dones or early entries? : At this moment, no. None of Baylor’s players are listed among ESPN.com Top 100 players for the NBA Draft. Top players returning: F Tristan Clark (14.3 ppg, 6.2 rpg, missed half of season due to injury), F Mark Vital (7.2 ppg, 7.2 rpg), G/F Mario Kegler (10.5 ppg, 5.8 rpg), G Jared Butler (10.2 ppg, 3.1 rpg, 2.7 apg), G Devonte Bandoo (8.4 ppg, 2.2 rpg), F Freddie Gillespie (5.3 ppg, 4.4 rpg). The players you don’t know about: G Davion Mitchell and G MaCio Teague. Mitchell, an Auburn transfer sat out all of the 2018-19 season, but when he does hit the floor for Baylor he’ll bolster the team’s guard depth. At Auburn he had the team’s second-best assist rate and second-best field goal percentage, despite coming off the bench for the 2017-18 SEC champs. Previously a four-star recruit, Mitchell was ranked in the nation’s Top 60 recruits. Teague also sat out 2018-19 due to transfer rules after two years at UNC-Asheville, where he was an All-Big South performer in each of his two seasons who averaged 16.7 points per game as a sophomore in 2017-18. Recruits already in the house: SF Jordan Turner, 6-foot-6, Sunrise Christian High School (Wichita, Kan). Turner signed in the early period and right now is Baylor’s only recruit for the 2019-20 season. The three-star recruit, per 247Sports.com, is considered the No. 6 recruit in Kansas and is among the Top 40 at his position nationally. Commitments yet to sign: Baylor has no commitments that have not signed. 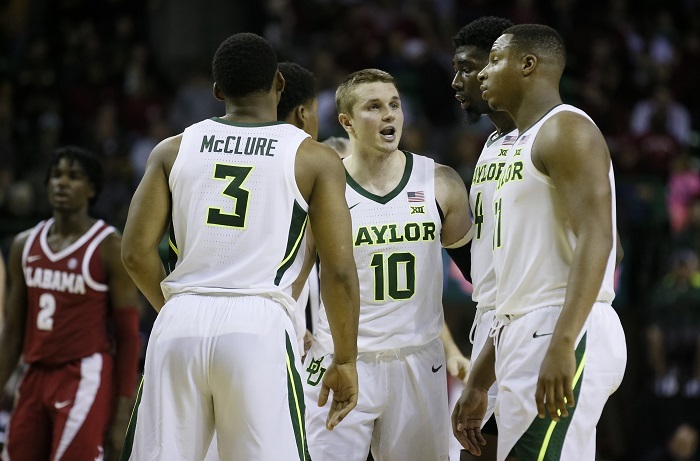 Summarizing the season: When I talked with Baylor head coach Scott Drew at Big 12 Media Day, he expressed that his biggest concern was that he the fewest returning lettermen of any conference team. The Bears had graduated experience and had a lot of unknowns, and it took them until about six games through Big 12 play to figure it out. Oddly enough, it was Clark’s injury that ultimately freed Baylor to use all of its assets. Mason took over as a more potent scoring threat. The emergence of Gillespie as an inside player was semi-revelatory, when compared to the playing time he was getting before Clark was hurt. Bandoo turned into one of the league’s top sixth men. And Butler — who came to the program in August — picked up serious offensive slack as both Mason and McClure battled injuries. From Jan. 14 to Feb. 27 the Bears went 10-3 and cemented a bid in the NCAA Tournament, despite losing four straight entering the NCAA’s. This turned out to be one of Drew’s best coaching jobs and, in some respects, he might have been a better choice for Big 12 Coach of the Year. After all, how often do you get to the NCAA Tournament when you lose your best forward? Looking ahead to 2019-20: Baylor has a microscopic recruiting class right now, but that’s because the roster is stacked with 13 returning players. The Bears are losing three guards and only two of them played. Not a problem. Butler has been a co-starter with Mason and McClure, Bandoo can slip into the other role while Mitchell and Teague are waiting in the wings. 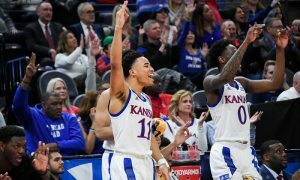 Clark should be ready to play next season and goes right back into the starting lineup. That may relegate Gillespie to the bench, but his play this season warrants at least 15-20 minutes a game next season. 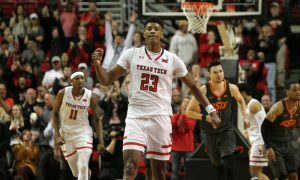 And we haven’t even touched on Vital, perhaps the best rebounder in the Big 12, and Kegler, who had a breakthrough season on his own. The Bears have the opportunity to be an eight- or nine-deep team right off the bat, and the further development of Flo Thamba and Matthew Mayer, could bolster the Bears’ inside game. The future looks bright in Waco. There should be no sleeping on Baylor next season.